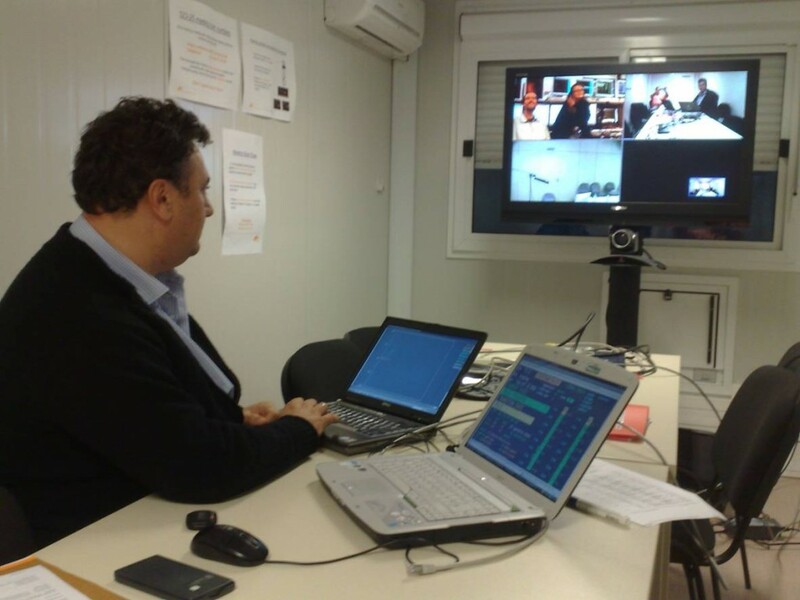 Alberto Loarte remotely participating in experiments being carried out at Alcator C-Mod (left) and JET(right). This photo was taken inside Tore-Supra during experiments on runaway electron control and termination carried out for ITER. It shows carbon dust particles produced from a plasma-facing component under the impact of runaway electrons caused by a disruption. (Photo courtesy: CEA). The quest for fusion energy is a world-spanning endeavour. Though the spotlight may be on ITER at the moment, there are many laboratories in the east and west contributing to its success. Laboratories around the world are running important experiments on aspects of ITER plasma physics and control in order to determine plasma performance for regimes with high radiation which will help to predict the performance of ITER. Other experiments deal with aspects of energy fluxes to plasma-facing components during a disruption which will help to plan for the mitigation of the effects of transient energy fluxes on ITER's in-vessel components. Most of these experiments are carried out as part of an R&D program coordinated by the International Tokamak Physics Activity (ITPA). For urgent R&D issues, ITER staff also collaborates directly with researchers at tokamak facilities in the ITER Members states, planning and executing experiments together. As part of this collaborative work, various experiments on controlling plasma instabilities known as Edge Localized Modes, or ELMs, have been carried out at DIII-D in San Diego and JET in the UK. Disruption physics and runaway electron deposition control was further investigated at the French tokamak Tore Supra last year. Most recently, experiments were run at JET and the Alcator C-Mod Tokamak situated at the Massachusetts Institute of Technology (MIT) in the US. The focus of the work done at JET aimed at improving the database for power fluxes during disruptions and developing methods for controlling the deposition of energy of runaway electrons following schemes initially explored at Tore-Supra and JT-60U in Japan. Runaway electrons are electrons that are accelerated to very high speeds—up to the speed of light during a disruption. These highly energetic electrons can cause significant damage when they impact onto the in-vessel plasma-facing components. Experiments in Alcator C-Mod addressed the issue of how plasma performance will be affected by injecting noble gases into ITER in order to maintain stationary power fluxes within the range that can be handled by the divertor target. 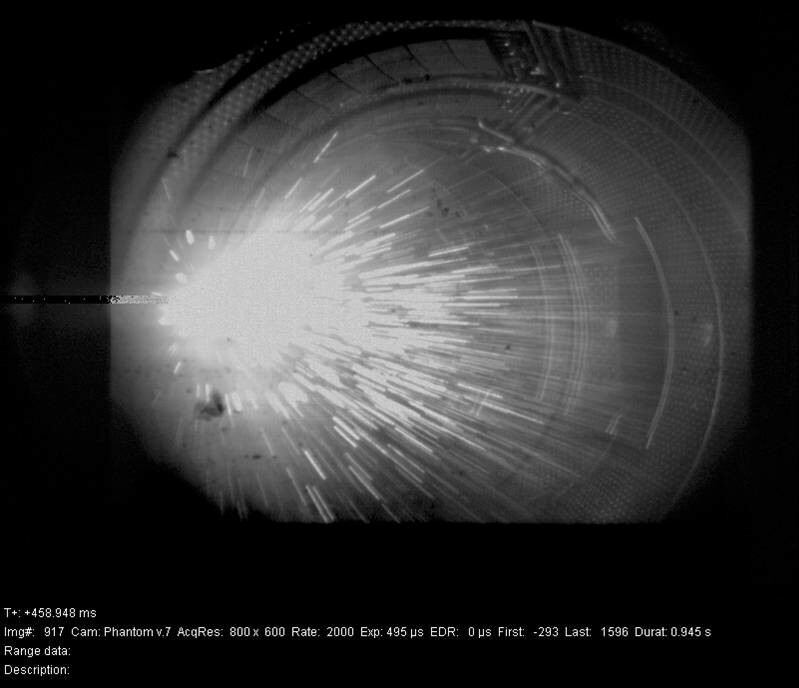 Both of these experiments carried out at JET and Alcator C-Mod inject impurity gases such as argon or neon into the plasma, but in very different amounts and timescales. "In the JET experiments, we tried to find an answer to the question of whether we can slow down runaway electrons by injecting these noble gases into the plasma," explains Alberto Loarte, Senior Scientific Officer in charge of Transport and Confinement Physics at ITER, who recently participated remotely in the experiments (see photo) which delivered "some promising" results. "In the Alcator C-Mod experiments, we investigated the injection of neon and argon into high confinement plasmas, as required in ITER, and studied the effect on plasma performance. So far, the results we have seen with injecting neon in Alcator C-mod are very encouraging. We managed to radiate a lot of the power that was injected into the plasma with radio-frequency heating without seeing the plasma confinement go down significantly." Detailed analysis of the results is now in progress to draw quantitative conclusions and to plan for further experiments in these fields to address remaining open issues for ITER.